Here we are in t he season of local tomatoes again. What a joy. A couple of years ago I had a lovely week in Majorca by the courtesy of good friends. We visited Robert Graves’ home in Deia – he lived there for a large part of his life and wrote most of his major works there (I Claudius for example – one of his best-known, and a great epic. You may remember the 1976 TV series, with the lead role played fabulously by Derek Jacobi. Makes current political scene seem positively benign). Also while in Majorca I enjoyed the local version of breakfast (only I had it at lun chtime!) – Pa’amb oli – which means bread and oil, and is often also served with tomatoes. 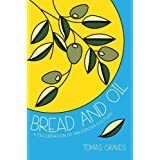 When I got home I found a book written by one of Robert Graves’ sons, Tomas. As you can see, the subtitle is ‘A celebration of Majorcan culture’, and it’s a diverting read, with lots of stories and commentary on the differences, tensions and synergies between mainland Spanish culture, and that of Majorca. I like to eat local but I also like to stretch my local traditions. The Scottish breakfast has lots of fans but I’m not really one of them. Too fatty for me nowadays; over-seasoned. 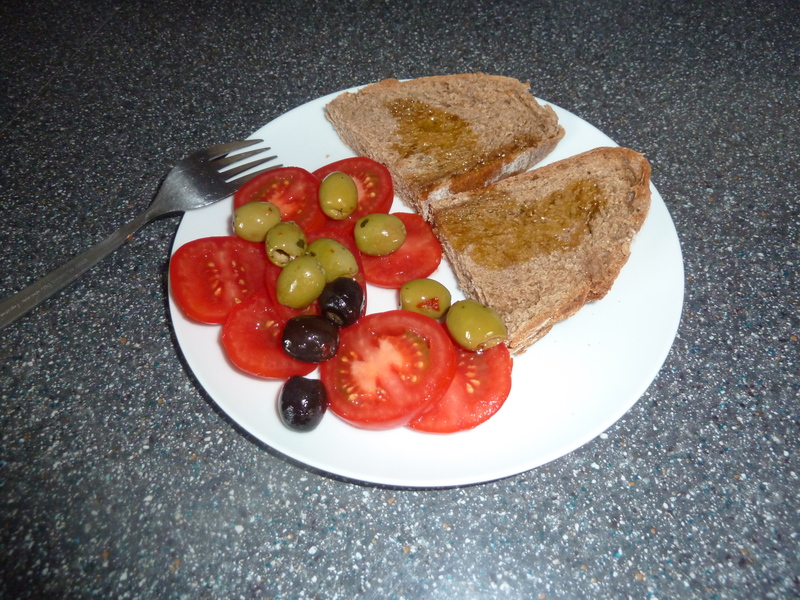 So the easy morning toasting of a little bread, slicing of a delicious tomato or two, and glugging of fresh oil goes down beautifully with my mug of tea and eases me safely into the working day. In the interests of Scottish authenticity I will also try this with rapeseed oil, which has become a bit of a gourmet item here in recent years. But someone will need to write a vibrant celebration of emerging Scottish culture, for Bread and Rapeseed Oil to have quite the same morning resonance as my Majorcan memory.